Ethiopia, commonly called the Water Tower of Africa, is one of the African nations endowed with abundant fresh water resources. The country is currently building Africa’s biggest hydroelectric dam, which is expected to generate 6200 MW power and which has been surrounded with controversies over the use of Nile River waters. Despite being a huge resource of renewable surface and ground freshwater that amounts to 123 billion cubic meters per annum and 2.6 billion cubic meters per annum, Ethiopia is confronting huge challenges of disappearing water bodies owing to climate change and over utilization. These problems apparently cause similar effects on other African water bodies, like the Lake Chad, which seems to shape other Ethiopia lakes and rivers, especially those in the Rift valley river basin. Zewudu Molla, a farmer who uses water from Lake Ziway (Rift Valley Basin), which is located 160 km south of the Capital Addis Ababa, for irrigation, said extracting water from the lake using his water pump is becoming difficult since water level in the lake is diminishing. There are several other farmers who rely on the lake for irrigation and they are the ones being blamed for the decreasing water level. This is when Ethiopia has already lost the Haramaya Lake, one of its greatest lakes to over utilisation. 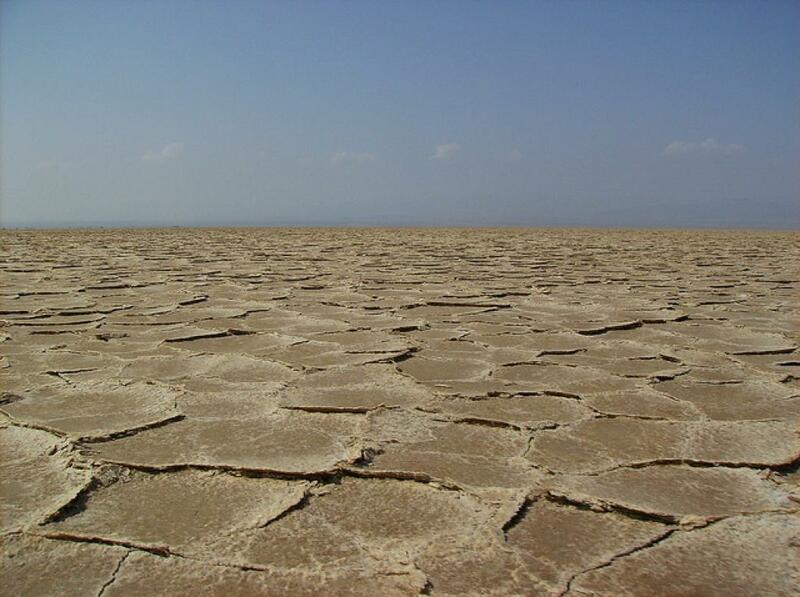 There is no water left in the lake, which was once situated 510 km east of Addis Ababa. This lake was once spread over an area of more than 10 miles and was 30 feet deep. Consequently, the Harar city, which is an Islam holy center with a population of more than 100,000 and situated few miles away from the lake site will now have to find another source of potable water. Its fishermen have also moved to another nearby lake that probably would face the same fate. According to official sources, Haramaya lake bed is left without a drop of water because of erosion, population increase in wasteful farming practices, little or no attention paid by government and climate change. Professor Zinabu Gebre-Mariam of the Ethiopian Hawassa University said that most cities and towns are flourishing along many Rift Valley lakes and that’s the reason why “the Chamo, Abaya, Hawassa, Ziway, Koka and other lakes are being highly contaminated by various pollutants generated by the urban settlements”. Ethiopia has 12 major river basins and most of its lakes and rivers are found in the Great Rift Valley where the country shares water with Kenya and other lower riparian countries. Huge demands of water for domestic supply, industrial and irrigation uses has brought a burgeoning pressure on Ethiopian water sources. Various scholars and their studies indicate that climate change takes the lion’s share among the reasons for the diminishing lakes and rivers in Ethiopia. Debasu Bayleyegn Eyasu, director general for Climate Change Implementation Coordination, Ministry of Environment, Forest and Climate Change (MEFCC) of Ethiopia, said the diminishing water bodies and their water balance is a huge concern for the present day of Ethiopia. “Lowering level of water in lakes and other water bodies is a good indicator of climate change,” said Eyasu. Rising temperatures in the Rift Valley basin cause significant changes in its hydrological components and in the lakes’ water balance. The Sustainable Development of the Protected Area System in Ethiopia (SDPASE) also confirms that evaporation is the major cause for the decreasing water levels. For example, the evaporation rate of Lake Abjata, another threatened and highly diminishing Rift Valley lake, is 372 million cubic meter per annum, while the ground water out flow is just only one million cubic meter. Though Ethiopia is not yet industrialized, the huge global greenhouse gas emissions would definitely affect its economy. As a result, climate change will have a profound impact on the availability and variability of fresh water as the frequency of climatic extremes such as heat waves, drought, and change in rainfall pattern. The misuse and overexploitation of forests, lakes and rivers has also brought about hard ships and difficulties on people and wildlife in most part of Ethiopia. “Pelicans and other birds are emigrating in high numbers from the diminishing lake Abjata. We used to see thousands of Pelicans and other birds around the lake and now it is difficult to spot them in hundreds,” said Fekadu Abay, a security personnel at the Abjata-Shalla National Park. A study by SDPASE shows that Lake Abjata was spread over an area of 194 square km in 1973 and currently its expanse is just 90 square km. Lake Ziway, in the upper valley of the basin, is the main water source for Lake Abijata through the Bulbulla River. Since the volume in it is significantly decreasing, it’s obvious that the amount of water flowing in to Lake Abijata would be much less than earlier. The scenarios developed for the years 2001-2099 showed that both, temperature and precipitation, are likely to increase from the 1981-2000 level. These changes are likely to have significant impacts on the inflow volume into the lake. Since these temperatures will be most prevalent in the Rift Valley basin, rehabilitation works by all governmental and non-governmental authorities must be intensified before the worst comes. As efficient and sustainable use of water is critical for the Ethiopian economy, which is mainly agrarian, experts suggest that water resources should be conserved and effectively governed. Natural resources, especially forests and all the biodiversity, must be conserved with steps like closure of water sources for people to prevent misuse and overexploitation. This is when locals and farmers are provided with other alternatives to earn their living. The project “Building adaptive water resource management in Ethiopia” is one of the efforts the Ethiopian government is making to build resilience to climate change by strengthening water resource management. Such projects would continue to try in identifying the current bottlenecks in water resource management at federal and basin levels, and plan actions to help the government and river basin authorities deal with climate change. Large part of Ethioan agriculture is rainfed. Tef is the main crop. Red sea side area receives very low rainfall and on Sudan side receives high rainfall. The natural variability in rainfall vary between 22 and 38 years cycles. Eritrea now a separate country in which Asmara has 22 year cycle with very low rainfall. Gore in coffee growing zone has 38 year cycle with high variation against the mean in below and above the average part of the cycle.